Wolf Canyon offers visitors an opportunity to get out of their vehicles and explore. 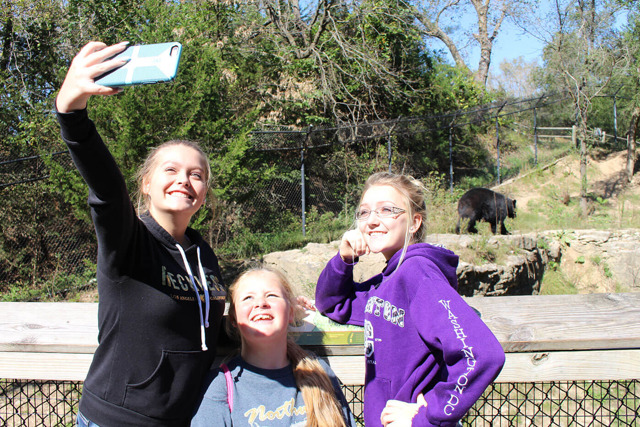 It’s home to grey wolves, American black bears and the Hands-On Corral. The canyon also provides access to hiking trails and Eagle Aviary. Wolf Canyon is home to grey wolves. Wildlife Safari Park keepers built a training station in the off-exhibit holding area. 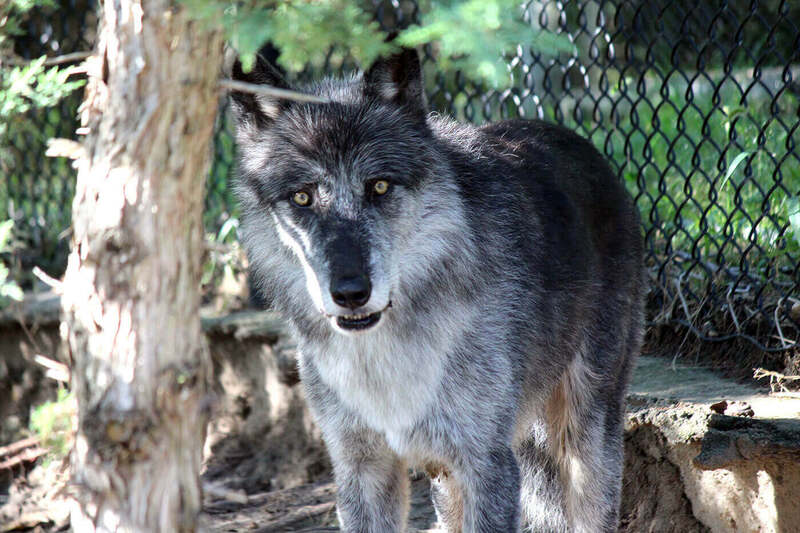 In this area, the wolves are being trained to come up individually, so keepers can perform medical procedures, such as monthly medication—similar to what you would give your pet—and apply insect repellent. The keepers also give body inspections to see if there are any health concerns. The wolves are fed a carnivore diet (processed meat) and bones every day. In their daily training, they receive rewards of trout and as special treats, hard-boiled eggs. Fun Fact: In the early morning or evenings, you can hear the wolves howling. Sisters Cinnabuns and Licorice, are the American Black Bears on exhibit in Wolf Canyon. Like their names suggest, Cinnabuns is cinnamon-colored and Licorice is black. Both bears are trained by Wildlife Safari Park keepers daily in an off-exhibit holding area. Here, keepers can perform medical procedures and give body inspections to see if there are any health concerns. The bears’ favorite treats are honey and hard nuts. For enrichment, keepers will drill holes in logs and fill them with honey or give the bears ice blocks filled with fish. American Black Bears are native to areas stretching from northern Mexico through Canada. They are omnivores, so their diet consists mostly of fish, meat, fruits and vegetables. And, while these bears appear to be clumsy walkers, they can actually move very fast and are considered excellent climbers. On average, American Black Bears can live up to 30 years or more. Fun Fact: American Black Bears range in color—from blonde to black to cinnamon—depending on their geographic location. There can also be different colored cubs born in a litter.